The Ministry of Youth and Culture has commenced an audit of the children’s homes and places of safety so as to identify the needs of these institutions. This was disclosed by Portfolio Minister, Hon. Lisa Hanna, following a visit to the juvenile sections of the Fort Augusta Correctional Centre in St. Catherine and the Horizon Remand Centre in Kingston on Sunday (January 13). She stated that assistance will be provided for the girls being housed at the facilities, many of whom she said, suffer from schizophrenia, bipolar disorders and epilepsy. Others, she said, have been abused and orphaned. “We are going to have to embark upon psychological assessments in the homes and the places of safety and also embark upon teaching our staff how to deal with children that have schizophrenia, bipolar disorder and get more social workers in the places of safety,” Miss Hanna said. “They are all contending in the same spaces and the same staff has to learn how to operate. While we embark on what we are doing, we ask the nation to also realize that our children need more love. This is not only a Ministry of Youth and Culture issue, it’s a national issue. If we don’t give them the kind of care that they need now, we will not have enough resources to build facilities to put them in,” Miss Hanna stated. Meanwhile, in a statement issued to the media on January 13, Miss Hanna informed that she had instructed the Child Development Agency (CDA) to forge a closer working relationship with the Department of Correctional Services (DCS) to do case work for juveniles remanded to correctional centres by the courts. Dr. Fenton Ferguson and with National Security Minister, Hon. 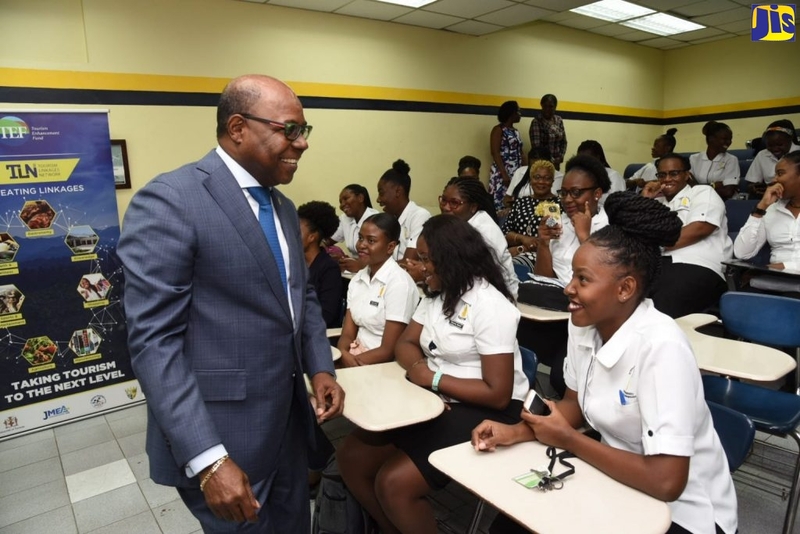 Peter Bunting to have more psychiatrists, counsellors and other child health professionals available to serve juveniles in the justice system. During Sunday’s visit, Minister Hanna spoke at length with 39 girls housed in juveniles-only dormitories at Fort Augusta, and 17 at Horizon. The visit was in keeping with efforts by Minister Hanna to encourage increased medical and therapeutic intervention for children in the care of the state including those in children’s homes and places of safety under the jurisdiction of the Ministry and the CDA. The team, which accompanied the Minister on her visit, included President of the Medical Association of Jamaica and noted Psychiatrist, Dr. Aggrey Irons; Psychiatrist, Dr. Myo Kyaw Oo, who currently works with the juveniles in incarceration; Chief Executive Officer of the CDA, Carla Francis Edie; Social Worker with the CDA, Beverly McHugh; Acting Permanent Secretary in the Ministry of Youth and Culture, Sydney Bartley; and Commissioner of Corrections, Lt. Col. Sean Prendergast.